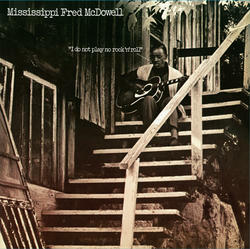 This 1969 release by the legendary Mississippi Fred McDowell was his first to feature him playing the electric guitar. Although it was somewhat controversial at the time because of this fact, it is now considered a classic. Fred sounds like he has always been plugged in, playing with fiery passion, including some great bottleneck guitar. Featuring all originals by Fred including, "You Got To Move" (covered by the Rolling Stones on Sticky Fingers) and "Kokomo Me Baby", except for a cover of Joe Williams "Baby Please Don't Go". This new reissue features the original 9 tracks that were on the 1969 release. Also available on 180 gram vinyl FMN 228.